Iaean co-developed a course for Ngai Tahu modelled on outward bound but including a Māori content. Designing a Ngai Tahu orientated course involved Aoraki, te tupuna maunga, and the importance of visiting and engaging with the whenua. From this whakaaro Aoraki bound was born and has gone from strength to strength. Iaean organises and competes in waka ama competition as in the World championship held in Tahiti, First Nations Futures Programme Fellow (Stanford University), Bachelor of Science in Marine Botany (La Trobe University). All this and more is Iaean Cranwell. 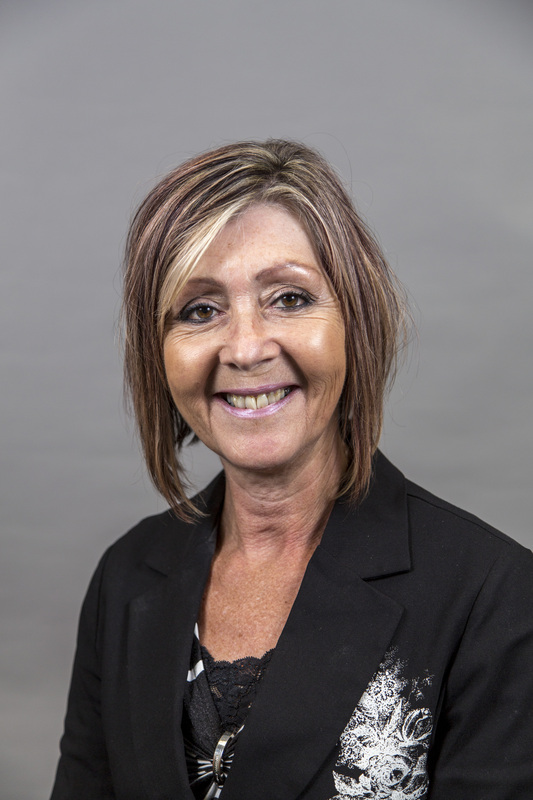 Dr Melanie Riwai-Couch is a recently appointed education consultant for Evaluation Associates. 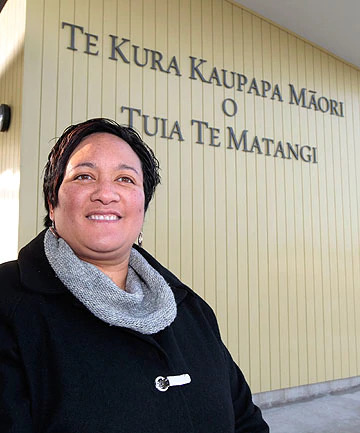 She was formerly the Tumuaki (principal) of Te Kura Kaupapa Māori o Te Whānau Tahi, a year 1 - 13 Māori immersion school located in Christchurch. For term 4 2017 and Term 1 2018 Melanie was seconded to the Education Council | Matatū Aotearoa facilitating English and Māori medium workshops about Our Code Our Standards and Appraisal. Melanie is an appointed member of the Ngārimu VC 28th Māori Battalion Scholarship Board and the Competence Authority of the Education Council | Matatū Aotearoa. In 2017 she was a judge for the Senior English section of the National Ngā Whakataetae Manu Kōrero speech competitions held in Taranaki. Recently retired from netball Melanie now lives vicariously through her five children aged 8 – 17 who are active rugby players, netballers, gamers and gymnasts. Eruera affiliates to three Māori tribal groups: Ngāi Tahu, Ngāti Porou and Te Whānau-ā-Apanui. Eruera is the Executive Director for Tokona te Raki: Māori Futures Collective, a Ngāi Tahu-led collaborative established to achieve equity in education, employment and income for all Māori in the Ngāi Tahu takiwā by 2040. These efforts are focused on sustainable, scalable and transformational change to shift Māori education and employment outcomes. Sonja Herahine Macfarlane (Ngāti Waewae; Ngāi Tahu) is an Associate Professor (Senior Research Fellow), and Co-Director of Te Rū Rangahau, the Māori Research Laboratory, at the University of Canterbury (UC). Her research and teaching focus on culturally responsive evidence-based approaches in research, education, psychology and counselling. Her research has been widely published in leading academic journals, both nationally and internationally. In 2017, Sonja received the New Zealand Council for Educational Research (NZCER) Tohu Pae Tawhiti Award for her contributions to Māori research over many years. In 2017, she was a member of a team that received the UC College of Education, Health and Human Development Research Team Award. In 2015, she was a co-recipient of the CLNZ Education Award “Best Resource in Higher Education”, and in 2014 she received a UC Research Excellence Award. Sonja is a member of the New Zealand Psychological Society, as is an advisory member on several government-funded projects. Of Kāi Tahu, Ngāti Apa ki te Ra To and Ngāti Porou, Fayne was born and raised in Hokitika (Te Tai o Poutini) on the west coast of Te Waipounamu. Fayne has contributed carvings to 9 wharenui including his whānau Marae, Kaipo in south Westland in Te Waipounamu and more recently, Tūhuru Marae in Arahura. His works have contributed to national and international collections and galleries including the Kiwi-Pacific Connections in Vancouver, Canada. Honoured by his peers as Te Toki Pounamu his carving skills are acknowledged as being similar to Pounamu, smooth and spectacular. Of Te Rarawa descent, Anton Matthews is a co-owner in a Māori whānau business named FUSH. Based in Wigram, Christchurch, FUSH opened in 2016 as a fish and chip shop with a difference. A first intake of 600 people participating in free te reo Māori lessons can't all be wrong. He uri tēnei nō Kāi Tahu, nō Ngāti Porou, nō Te Whānau a Apanui anō i te taha o tōhona hākui, nō kā Waikingi i te taha o tōhona hākoro. Kua mahi ia hai kaiwhakaari, hai kaikanikani, hai kaiāwhina i te kura o Horomaka, i te kura o Te Waka Unua hoki. Ināianei he kaiako pīpī paopao ia ki TKKM o Te Whānau Tahi. Ko te reo Māori te reo tuatahi o āhana tamariki. Nā konā i whai wāhi ai ki kā kōhaka reo o Te Kotahitanga ki Waitaha me Oterepo, tae noa ki te kaupapa ā-whānau o Kotahi Mano Kāika, Kotahi Mano Wawata. Nō Karuna te whiwhi ki te mahi ināianei mō KMK hai rikarika, hai waewae o tēnei kaupapa whakarauora reo. On her mother’s side Karuna is of Kāi Tahu, Ngāti Porou and Te Whānau a Apanui heritage; on her father’s side she is of Viking heritage. She has been a performer and a teacher-aide, first at Rowley Avenue School and then at Te Waka Unua. She is now a junior school teacher at TKKM o Te Whānau Tahi. Te reo Māori is her children’s first language, and their whānau have been involved with the kōhaka reo Te Kotahitanga ki Waitaha and Oterepo, and the language revitalisation kaupapa Kotahi Mano Kāika Kotahi Mano Wawata. Karuna is fortunate to now be able to perform contract work for KMK and contribute back to the kaupapa which has given so much to her whānau. Educated at Aranui High School in Christchurch, Merita graduated from Waikato University with a Bachelor of Education (B Ed) which took her first to Te Kura Kaupapa Māori o Waitaha as Tumuaki Tuarua, the oldest Kura Kaupapa in Te Waipounamu, next to the newest Kura Kaupapa in Te Waipounamu, Te Kura Kaupapa Māori o Tuia Te Matangi, as Tumuaki and currently Te Kura Kaupapa Māori o Whakapumau as Tumuaki. Merita personally knows about the struggle to learn te reo Māori and at Te Kura Kaupapa Māori o Tuia Te Matangi they led the revitalisation process for te reo Māori in Te Tauihu o te waka a Māui and now that process continues in Ōtautahi. She began learning te reo Maori as a secondary student in Christchurch where there was opposition from whānau and community but if you want something you go after it. Merita believes that te reo Māori needs to be normalised because it belongs in Aotearoa.